Flamenco Music for Guitar contains repertoire pieces that you will want to play over and over. Included the classics such as the Soleares, the Alegrias and the Bulerias, a beautiful Danza Mora and two wonderful traditional Spanish dances titled Zorongo and El Vito. 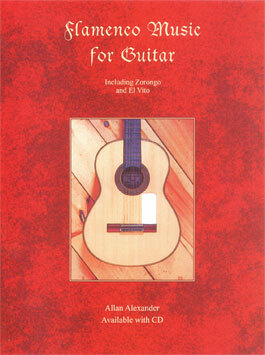 Allan focuses on the melodic aspect of the music, with only judicious use of the rasgueado. With high quality accompaniment CD.